Brighton Center at its very core is a community based agency. The people in our community and their needs are the driving force behind the work we do. Trends and fads will come and go, but Brighton Center will always provide services the community needs and wants. Every day, Brighton Center works to engage all members of the community from young children to seniors so that real change can become reality. Every one of them has a story worth sharing... the following are just a few. 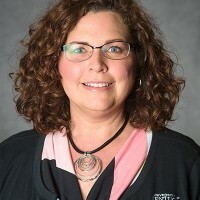 In honor of Volunteer Appreciation Month, meet Melissa Pilcher, Nutrition Education Assistant through University of Kentucky’s Nutrition Education Program. In honor of Volunteer Appreciation Month, meet Randi, Lead Financial Analyst at GE. 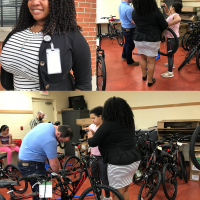 Randi supports, encourages, and empowers youth in Brighton Center's STEM Bike Club not only during the afterschool program but also in their daily lives. I’ve always been an alcoholic, but I never knew it. I thought I was just really good at partying. 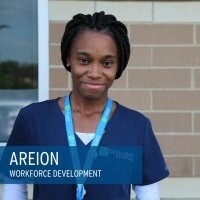 Most high school seniors are simply trying to get through school, hang out with friends, and plan their next break, but when Areion saw an opportunity knocking, she did not hesitate to grab it. 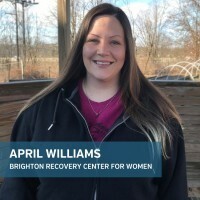 While attending a low income housing meeting with her mom, Areion learned about Brighton Center’s Center for Employment Training, (CET) and the debt-free training offered. After everything I went through and all the pain I felt, it would take a lot to go back to the way things were. Your mind is warped and the drugs control you when you are out there. But there is life after drugs. If only I could have seen it sooner. What brought me to Brighton Center was all the opportunities that are available to anyone seeking help. I was confused about my career path or where to even start looking. A friend explained to me her experience at Kentucky Career Center and I wanted the same opportunities that she had. It sounded too good to be true so I had to check it out. I was introduced to the Center for Employment Training (CET) through a friend in the program. I was attending Gateway Community and Technical College and graduation was approaching but I could not get past my Anatomy class. I was interested if CET was a better route, so I decided to attend an information session and joined Medical Assisting in November 2017. 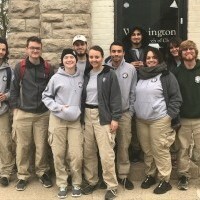 From organizing the Clothing Closet to taking charge of the Used Toy Sale to building beds for kids around the area, there is nothing this group of AmeriCorps NCCC volunteers couldn’t accomplish. With can do attitudes and smiles on their faces, NCCC members from all over the country came together in Newport, Kentucky with one purpose, to strengthen our community.